EAW009403 ENGLAND (1947). York Racecourse and the Terry's Chocolate Factory (Bishopthorpe Works), York, 1947. This image has been produced from a print. 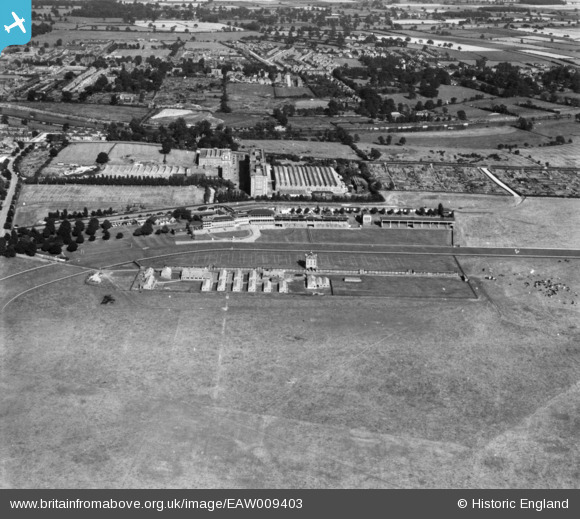 Title [EAW009403] York Racecourse and the Terry's Chocolate Factory (Bishopthorpe Works), York, 1947. This image has been produced from a print.